Share the post "Growing the Perfect Hot Pepper"
Editor’s note: This video originally appeared in Rutgers Today. New Jersey’s population is increasingly diverse and there is an increased demand for a wide variety of hot peppers. 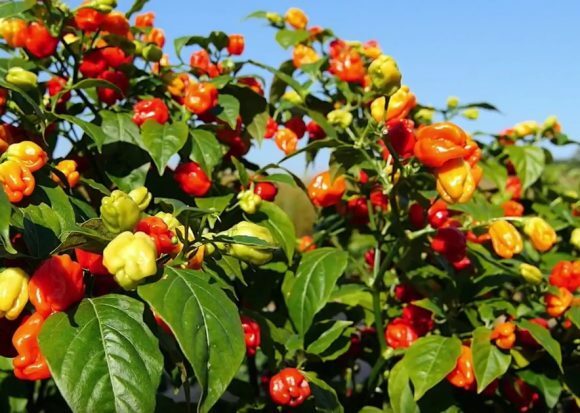 So, it made perfect sense for the Department of Plant Biology, in conjunction with NJAES’ Breeding Program, to develop new lines of exotic peppers. The goal of this Exotic Pepper Project is to produce value-added peppers that can be grown specifically in New Jersey by farmers and then sold at a high-value. Rutgers researchers have been developing peppers for all tastes—from a mild Poblano to the mouth-scorching Trinidad Scorpion. Rutgers researchers in the Department of Plant Biology Albert Ayeni, Thomas Orton and Jim Simon discuss the exotic pepper breeding program and the development of this value-added crop. Watch and find out what makes the perfect pepper. Learn more about the exotic pepper project and the research in the Rutgers NJAES Breeding Program.